Apply now and be among the first ones to experience summer of Rovaniemi – The Official Hometown of Santa Claus in Finnish Lapland. Summer 2018 will bring influential visitors from all around the world to Rovaniemi, in Finnish Lapland. In June, July and August, the famous winter holiday destination in the Arctic lets people in to its extraordinary summer. Visit Rovaniemi has launched a campaign called “#RovaniemiSummerAmbassador” that brings social media influencers, journalists and new media journalists to explore the Official Hometown of Santa Claus under the magnificent midnight sun. The aim is to find people ready to experience the Arctic City’s wild but lush nature and let the guests wonder under the unusual light conditions. “In summer, we can guarantee 24/7 light and cool atmosphere. 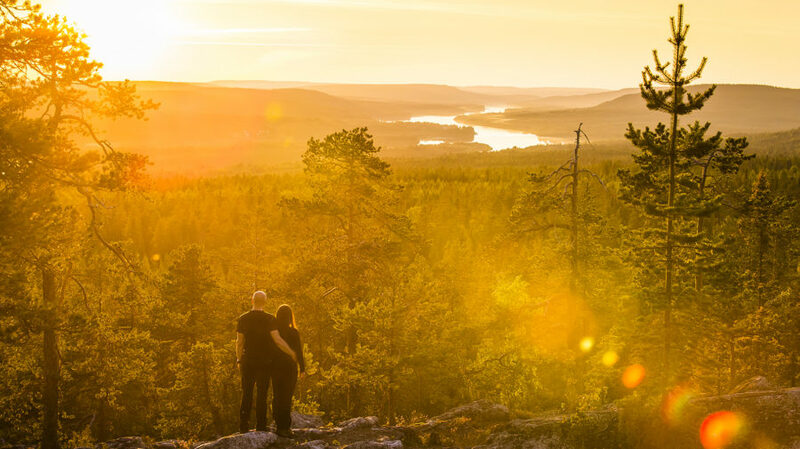 It’s time to add the midnight sun to your bucket list”, says Sanna Kärkkäinen, Managing Director of Visit Rovaniemi. The application period is from 14th of February until 16th of March 2018. The selection will be made by the end of March. Participants are offered three different experiences set by the summer month’s ever-changing nature. In June the sun never sets, when participants can be favoured by sunlight 24/7 in a traditional Finnish cottage by the river. July’s participants get to know Finnish summer craziness and Arctic city’s urbanism. August comes with darker nights and the beginning of the magical northern light season. Rovaniemi, a famous winter holiday destination, is a city of contradicting natural phenomena. Winter comes with the Polar Nights and the sun stays below the horizon from November to late December. The summer is quite the opposite: the sun never sets and the city is filled with white summer light. Application period 14th Feb – 16th March 2018. You can apply on www.visitrovaniemi.fi/rovaniemi-summer-ambassador. The campaign is tailored for social media influencers, journalists & new media persons. The campaign takes place in June, July and August in Rovaniemi, Finnish Lapland. When applying, the applicants choose when they would like to come to Rovaniemi. The aim is to raise awareness of Rovaniemi as a summer holiday destination.